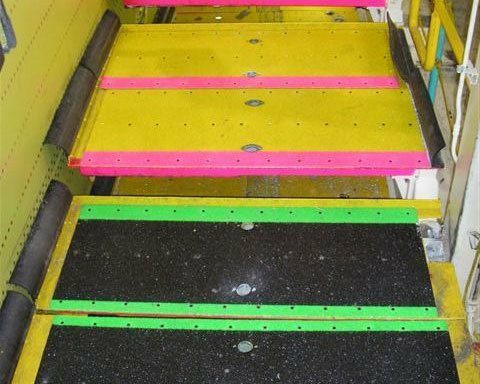 Safeguard Anti-Slip Covers hold up to thousands of passengers and employees daily, providing a durable, safe walking surface. 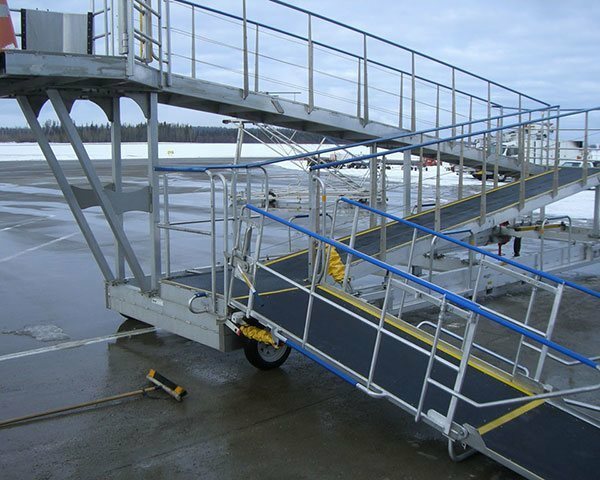 From the manufacturing level to baggage handling and boarding ramps, our Anti-Slip Covers keep passengers and workers from dangerous slips-and-falls. Six grit options, color coding, custom colors, logos, and safety messaging available. 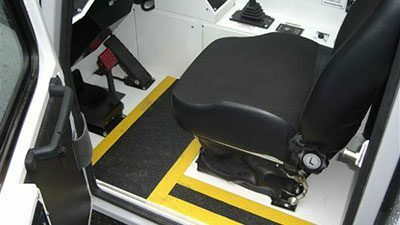 Safeguard anti-slip covers are used in the aerospace and GSE industry. 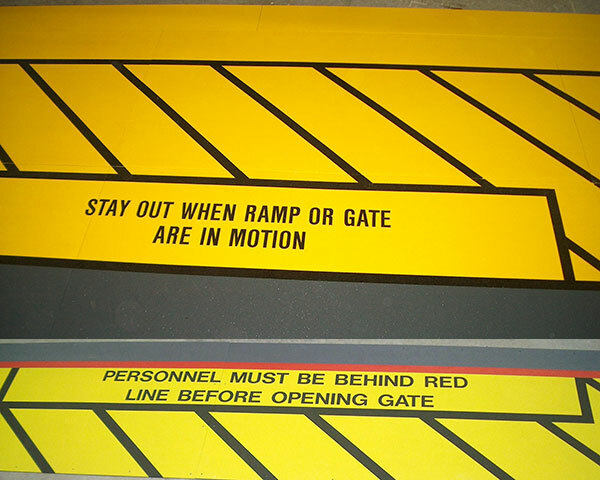 Clearly designate areas with color coding on Safeguard Anti-Slip products. 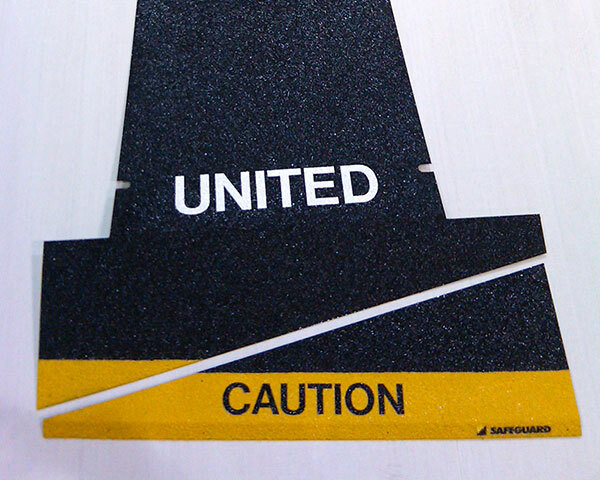 Customize with safety or directional messaging for added value. 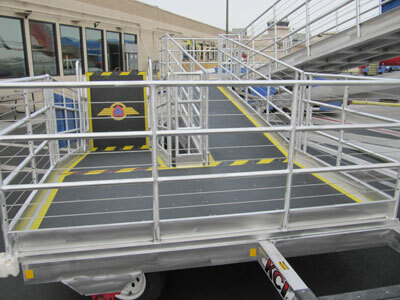 Protect airport passengers with customized anti-slip boarding ramp covers. 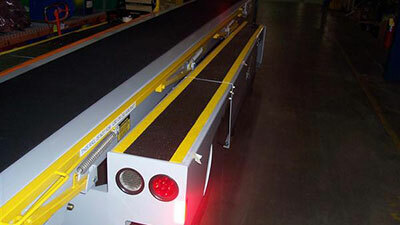 As an alternative to pre-fabricated covers, we can apply our anti-slip coating directly to your parts. Perfect for OEMs.